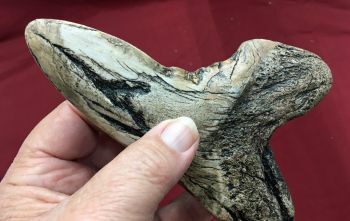 Pathological shark teeth are developmental abnormalities commonly found in the shark tooth fossil record that may be caused by a variety of reasons: genetic mutation, damaged or immature teeth. Pathological teeth develop with distorted or disfigured crowns, and collectors usually have little or no trouble recognizing them. However, not all pathological teeth are easy to identify, and several species have been described based on abnormal teeth. 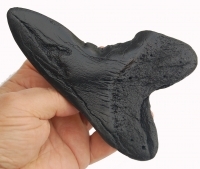 Due to the sheer quantity of teeth produced over the eons by sharks, many fossilized shark teeth reflect a 'pathological' condition.